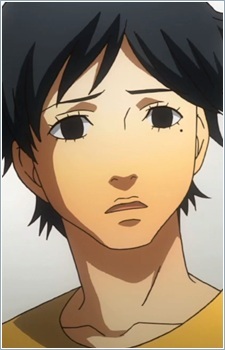 Mitsuo suffers from poor self-esteem due to ridicule for his appearance and in turn his social isolation. This causes him to be extremely self-centered, delusional, attention-dependent and aggressive. Mitsuo is extremely immature, and often throws tantrums if something makes him upset, such as tripping over a garbage bag or being rejected by Yukiko. If anyone tries to confront him about his life's emptiness, having no friends or accomplishments, he lashes out into a state of ridiculous anger and ignorance. Although he is so often alone and looked down upon, Mitsuo also has an extreme need for attention, whether it be positive or negative. To make up for his lack of good attributes, he blows things up that he does such as beating video game bosses and grows to honestly believe that he and Yukiko love one-another; as she's the most popular girl in town, that would make him of high social standing as well. However, he merely stalks her and takes photographs of her with her friends, while harboring hatred for everyone else. When the Investigation Team rescues Naoto from her dungeon, a conversation is brought up in which they realize Mitsuo can't be the killer, and was only responsible for the murder of Mooroka, and likely had no knowledge of the TV World.